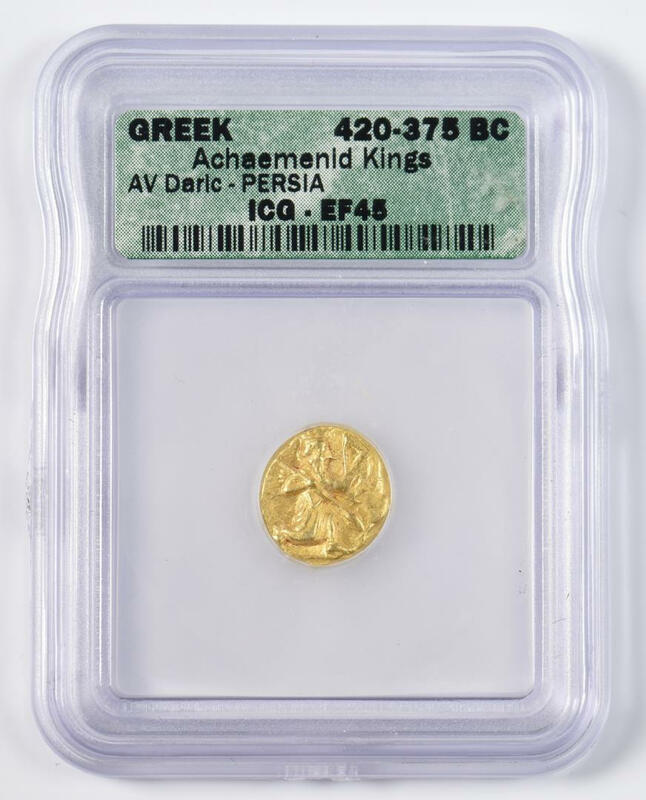 Achaemenid Kings Gold AV Stater, Daric, Persia. 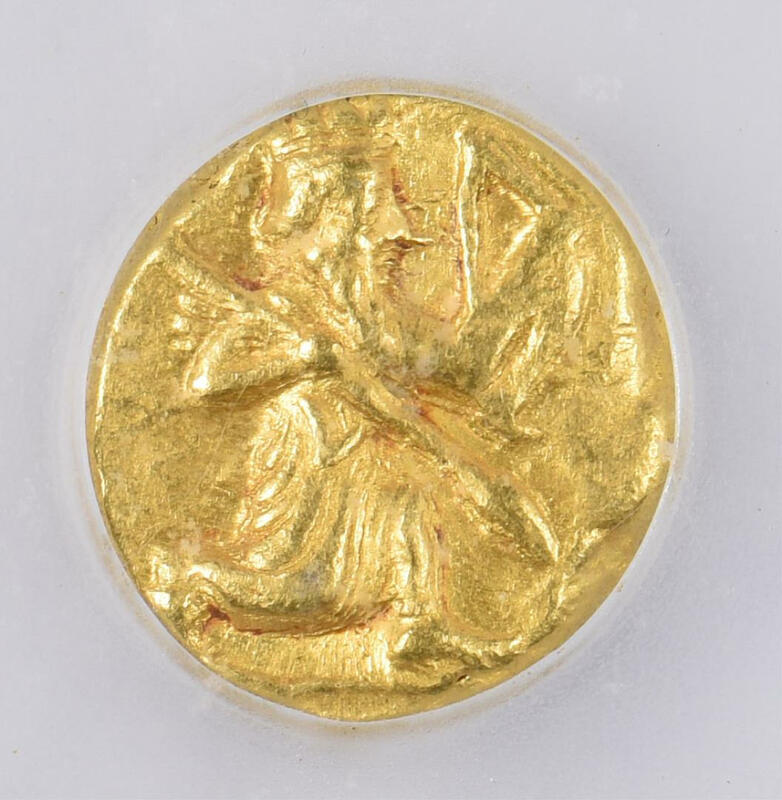 Obverse Great King with kidaris and kandys in kneeling-running attitude holding strung bow and spear over right shoulder with point downwards. 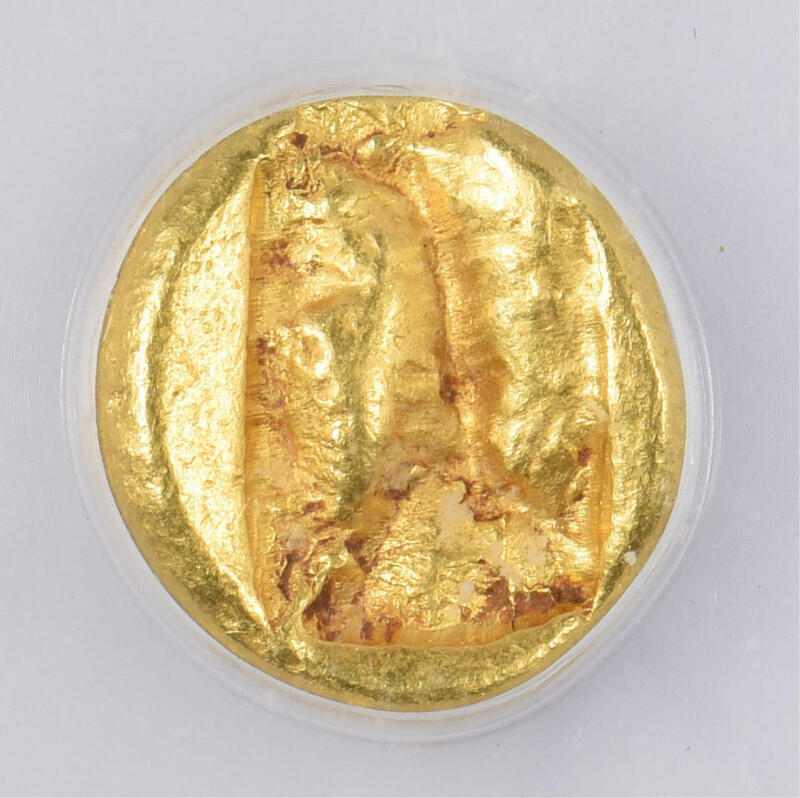 Reverse with oblong incuse punch with irregular surface. 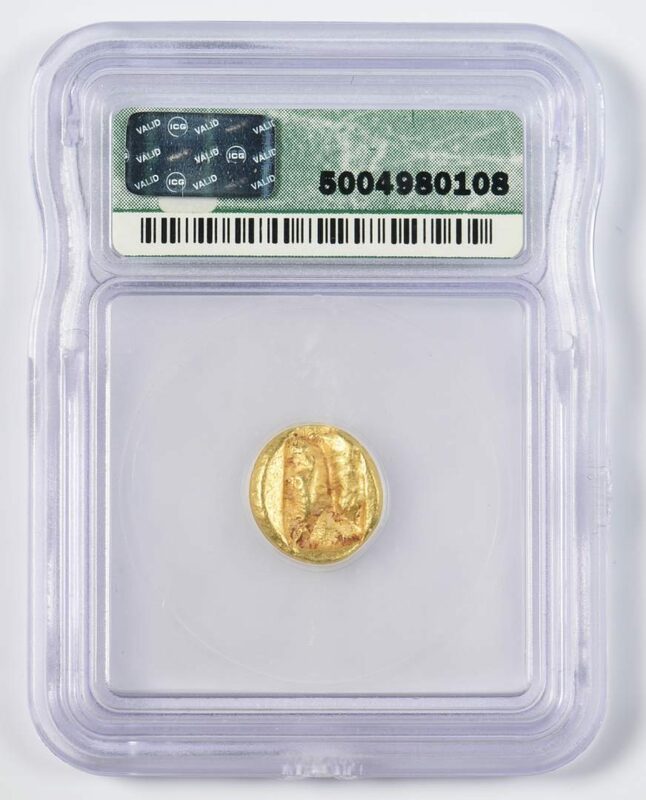 420-375 BC. EF45 grading by ICG. CONDITION: EF45 grading by ICG.